Should You Stay in Your House While it’s Being Re-modelled? Should you stay or should you go? There are lots of things you need to consider when you decide whether you should “live through” the remodelling of your house or whether you should find a bolt-hole. 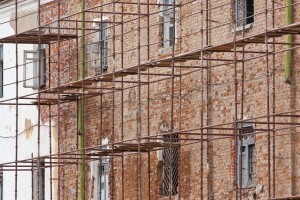 It’s not as straightforward as staying at home to save on rent, because some construction companies charge more for a quick finish-up if you’re in situ. This applies especially to plumbing and electrics. Don’t forget that you’re paying by the day, so all those cosy chats will be bulking out your invoice. If it’s a couple of back rooms, or an extension, then you might be alright to stay put. However, if the roof is coming off, you need to be out of the way. You can’t keep warm, safe or secure under tarpaulin and you’ll also be without water or electricity. What rooms will be out of action? If it’s your bathroom that’s being “done”, then you can join a gym or wash at the kitchen sink. If it’s your kitchen, buy a portable hob and fill a free-standing freezer with microwaveable meals. If it’s your kitchen and bathroom, and another room or two, look for a rental. Pets can be a problem when you’re remodelling. How do you keep them out of the way? What if they get hurt or run off? Some contractors just won’t work with animals. Older children love to watch builders, but builders don’t always like working with children around. Additionally, if your children are younger and still sleep in the day, you’ll be paying for an extra break! Some jobs can’t legally be done with you around, like laying hardwood floors or removing asbestos, so you’ll have to vacate. You could ask if these jobs could be done together, or at the start and finish of the project so you can stay at home in between. It’s worth asking, but it’s not always possible.